Follow-up marketing is essential to marketing to your ideal clients. Customers don’t buy when they are at the right step in your process. In fact, clients may decide to call your law firm, visit your website, read your online reviews, and download your free materials in any order they like. Processes like email marketing and direct mail are vitally important to keeping your law firm in the minds of prospective clients. Without those tools, you are likely to be forgotten while another attorney signs their case. Learn what you can do to keep in touch with prospective clients and stay at the top of their list. Review the most frequently asked follow-up marketing questions below. You’re probably asking yourself: What the heck happens next? How do I get a steady stream of clients? Am I doing enough in my marketing? Is there anyone who’s made it to the top of the mountain who can point me in the right direction? I know. I’ve been there. I know exactly what you’re going through as you start to think about marketing your law firm seriously, and I’ve learned the hard way which strategies will grow your business and which are financial black holes. And let me tell you, not only is there a path to the top of the mountain, but I have created a systematic approach to getting you there. 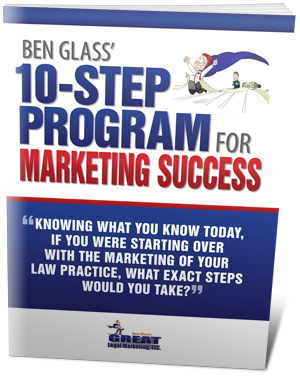 Download my 10-Step Program For Marketing Success and discover the steps I would take if I started my practice from scratch, right now! By the end of this report, you’ll be shocked that I’m giving it away free. To put it simply, this report will answer the biggest question I get from lawyers around the country on a weekly basis. Click the button below and download today! Automated attorney marketing? But aren’t triggered emails impersonal and annoying to receive? One of the biggest fears attorneys have about using an automated marketing service is that it will scare away potential clients or that it harasses people after they have requested information. However, this is simply not the case. While some have the misconception that triggered emails annoy, the data are in our favor: automated marketing simply works. Microsoft has used triggered emails to increase click-throughs by 2,100 percent, while Jet Blue’s triggered emails produce 1,640 percent more revenue than promotional emails. When thinking about triggered emails and automated marketing, it is important to remember, first and foremost, that your contacts willingly gave you their information! They want to hear from you and they are looking for more information and more answers. Triggered emails are actually “more polite” than promotional emails—they are only sent to people who ask for them. Also remember that triggered emails should be filled with things that the reader wants: more free offers, more information, and more encouragement. Who wouldn’t want to receive that? As long as your emails are warm, courteous, and brimming with things that the reader is interested in, you won’t be doing harm. And if you are still afraid of using triggered emails, consider this: anyone who is annoyed by your correspondence can either request to be taken off of your list or can put your emails in his spam folder. No harm done. Should I automate my marketing follow-up campaigns? Wouldn’t that be less effective than following up personally? We admit: there’s nothing better than sending a thoughtful, unique, and personal email to every person who fills out a contact form on your website or requests a free offer. But is it practical? And is it as effective as it first seems? When you look at the big picture, sending automated marketing responses trumps trying to follow-up individually every time. Not only does it save you a significant amount of time and money, but it also presents opportunities to sharpen your game. First and foremost, automated marketing gets you out of the office and completing more important tasks—whether it’s helping a current client or spending time with your family. While it’s nice to write a personal note, the personal note doesn’t have the huge benefits you may think. Next, it is important to understand that automated marketing makes it possible to better track your responses and your marketing campaign effectiveness. If everyone is receiving the same emails and “touches,” you can easily see what is working and what is not working. You can also look at data to determine if you are sending too many communications or too few. Finally, you should know that automated marketing helps your potential clients, too. It reminds them of their interest, provides them with helpful information, and makes them feel welcome at your office. If they aren’t interested in your legal services, they can simply opt out of future communications. I feel like I’m contacting my prospective customers all the time. Aren’t they going to feel pressured or annoyed by all of the mailings and emails I’m sending? Probably not. After all, they gave you permission to market to them when they signed up for your newsletter, free book, or other materials in the past. You should never be marketing to anyone who hasn’t given his consent. Tailor your “opting out” choices. All of your materials should include a line or link with simple instructions for “opting out” of your marketing. In some cases, customers who receive too many emails may not want to unsubscribe completely, just receive one message a month. Better to keep them less often than lose them completely. Switch up your message. People are easily bored if all your contact with them points toward a single message (hire us!). Instead, send a newsletter with the happenings around the office, or changes in local laws that can affect the cases you serve. If you’re appearing on a radio show offering free legal advice, send a postcard inviting them to listen in. Exceed your clients’ expectations. Imagine someone is so annoyed by your constant marketing materials that he calls you up and grills you for legal information. Imagine his surprise when being greeted by courteous staff, being put through to an apologetic and knowledgeable attorney, and getting answers to all of his questions with no pressure to sign a contract. I’ll bet he is glad you sent “too many” newsletters now! 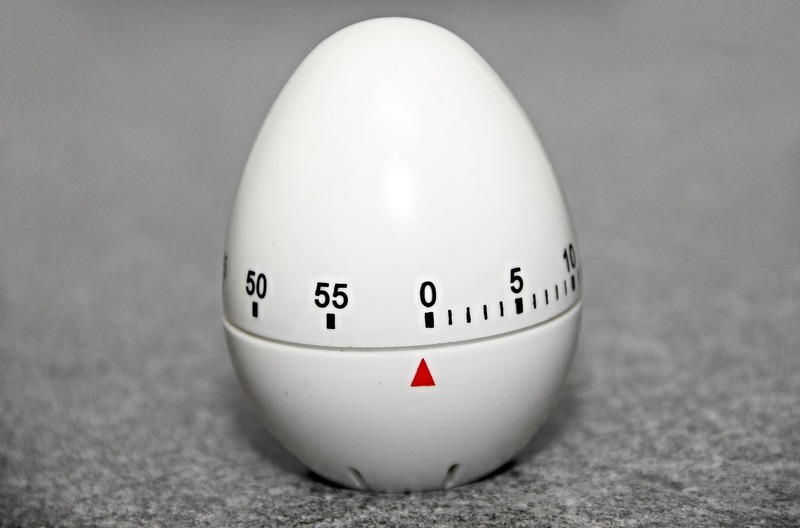 How Long Does It Usually Take for A Client to Hire an Attorney? In our experience, we find that it typically takes a client about 4 -12 months to hire an attorney after visiting the attorney's website if the lawyer uses follow-up marketing. In many cases, the actions a lawyer takes after a visitor has come to their website called the law firm or requested information are as important as the actions that the lawyer takes to attract the potential client in the first place. For example, a strong legal marketing campaign that converts potential clients into actual clients typically has a strong follow-up after a potential client has contacted the firm. Follow-up activities may include a combination of emails, phone calls, free offers, and other materials that answer the questions of potential clients, establish you as knowledgeable in your practice area and convince clients of the importance of pursuing their recoveries. Do not become discouraged if a potential client does not sign a fee agreement within days of contacting you. Instead, use your attorney marketing strategies to help persuade that client to hire you and pursue a legal recovery. What Are the Best Forms of Follow-Up for Effective Legal Marketing? Properly written, the attorney periodical should highlight interesting court decisions, cases, or facts and present them in an educational and creative manner. Contacts of the law firm who receive the newsletter will remember the attention-grabbing story lines and hopefully contact the lawyer when a need for legal representation arises. Perhaps the most personal form of follow up is a phone call to a potential client. After an initial introduction, conference, email, or mailing, a follow-up phone call is a direct method for reaching out to contacts. 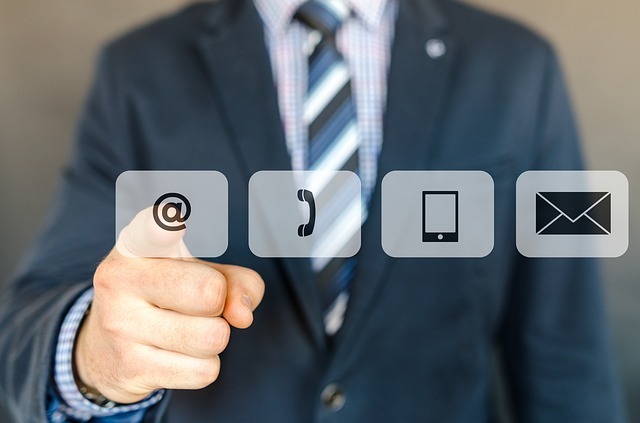 Email is a quick and efficient form of follow up because it allows for an inexpensive, indirect, and low-pressure means of connecting with the potential client. The individual can respond when it is convenient for them. These materials can include anything from a law firm brochure to a coloring book about car safety. The goal is the same - to give the contact something to serve as a reminder about the attorney and the services the law firm offers. Earning a reputation in the community for being a respected and trusted leader happens naturally over time through dedicated involvement in local activities. It is also an excellent form of follow up because it serves as another opportunity to be in front of potential future clients.